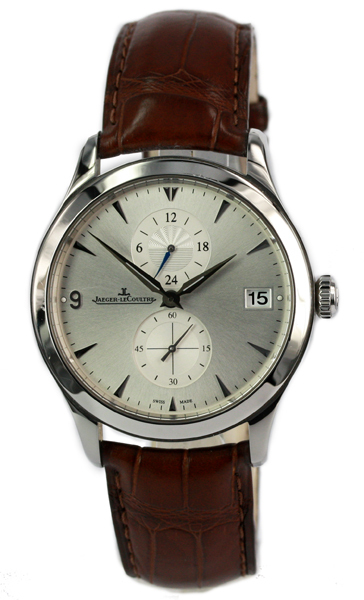 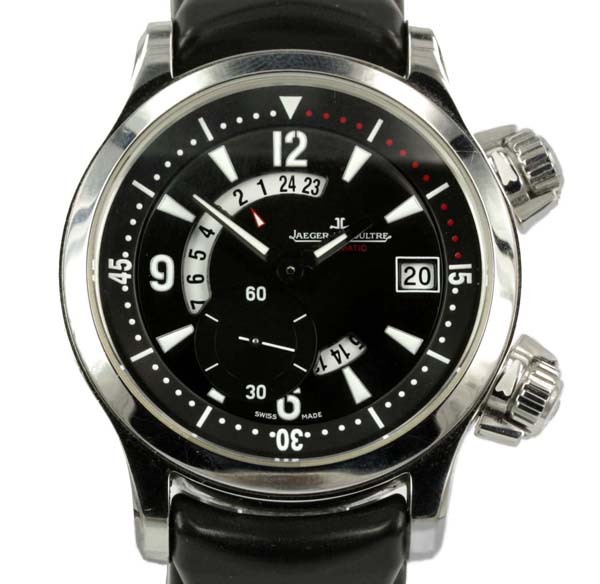 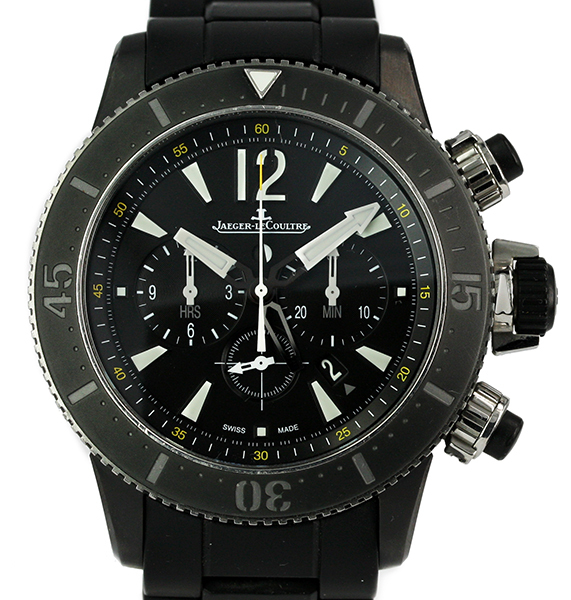 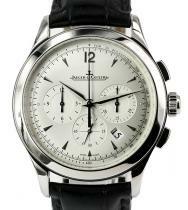 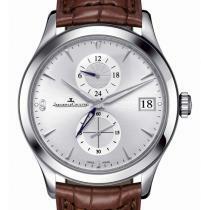 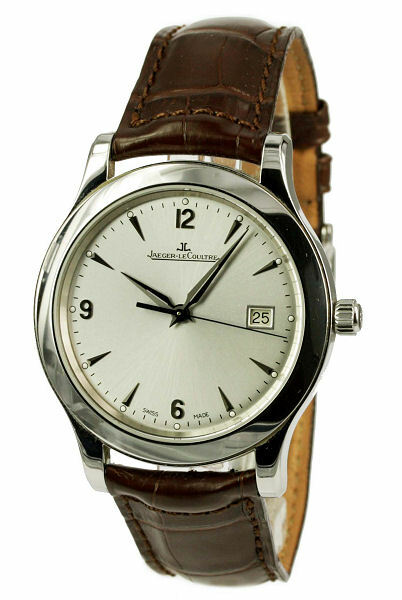 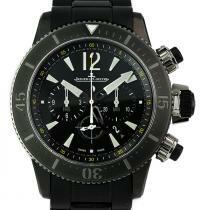 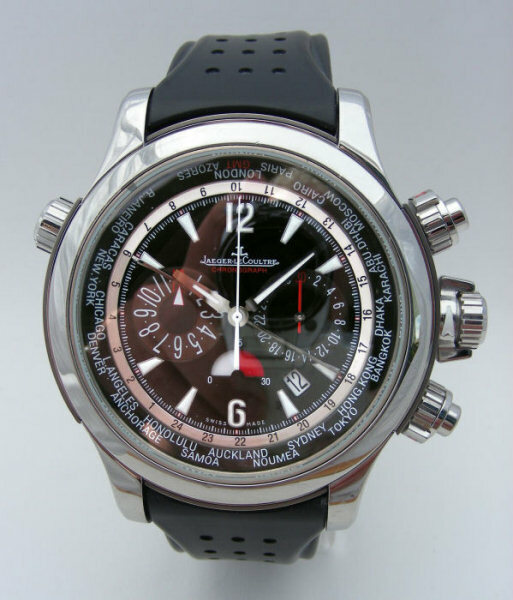 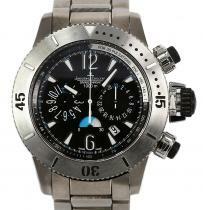 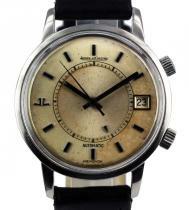 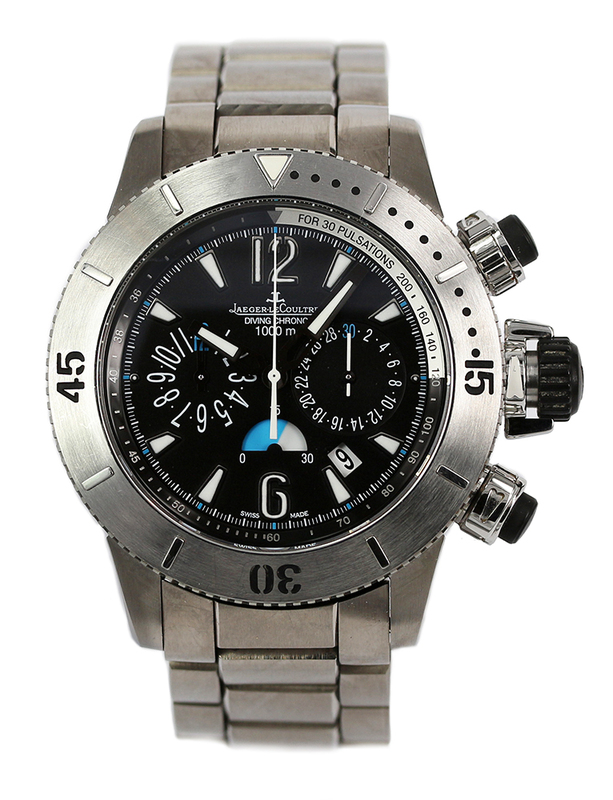 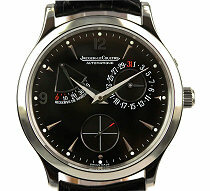 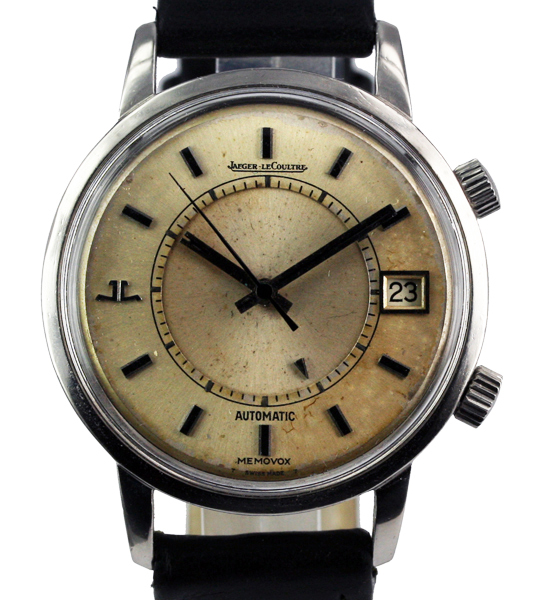 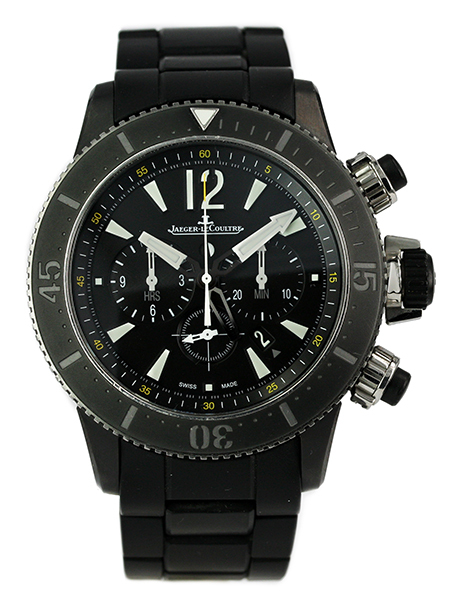 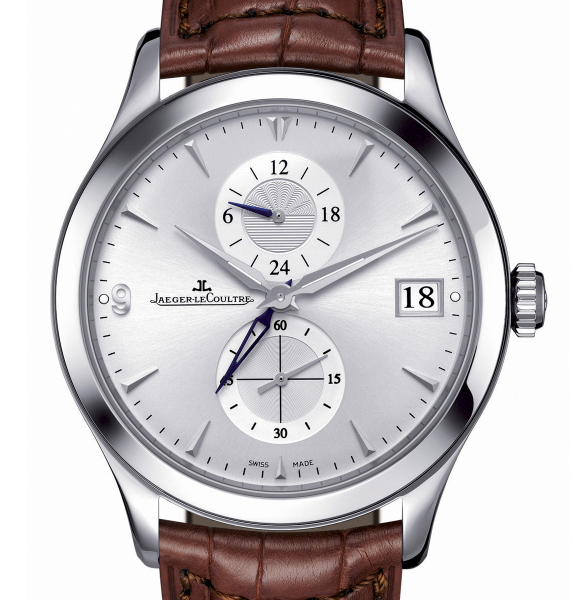 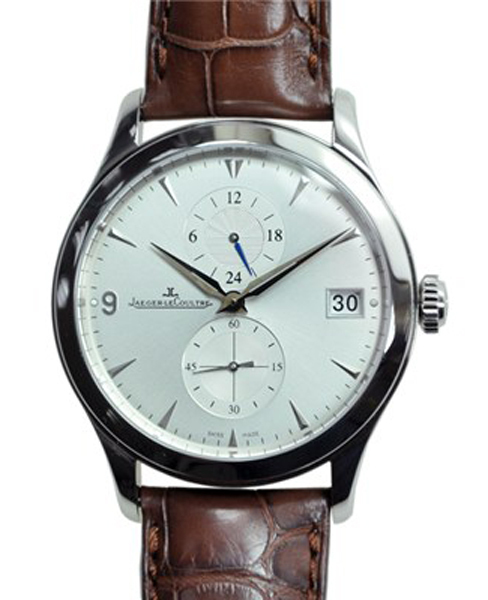 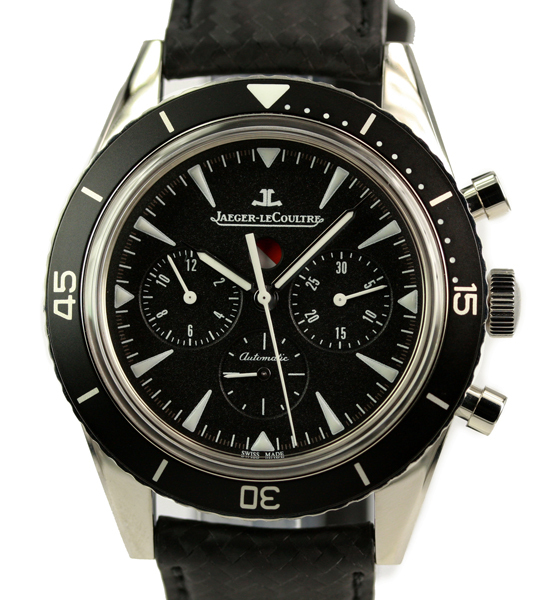 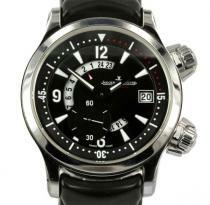 Watch Description: Stainless steel case, silver dial with index hour markers. 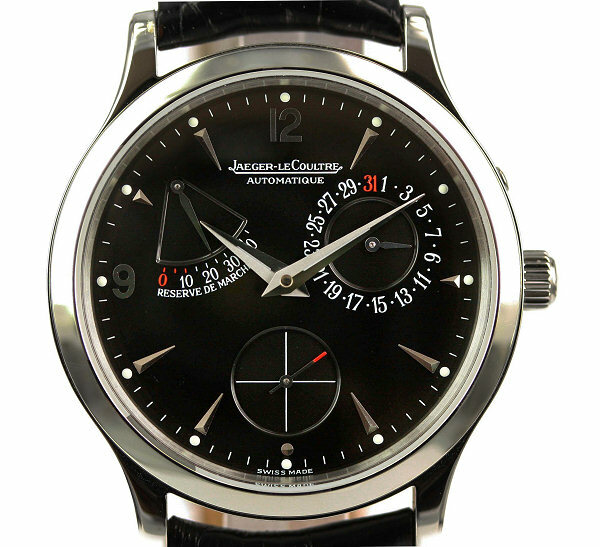 Arabic numeral quarters. Date pointer hand. 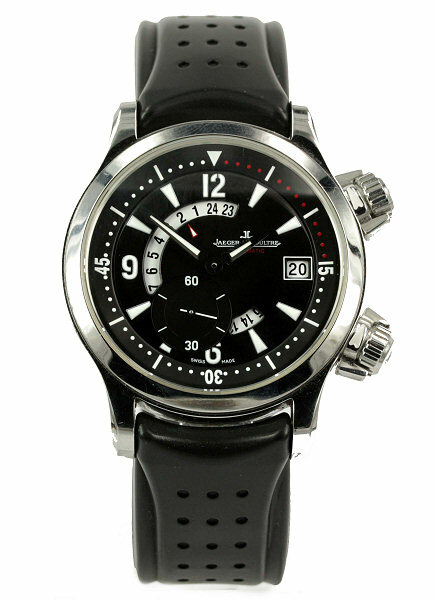 Day and month display with small seconds sub-dial at 6 o'clock. 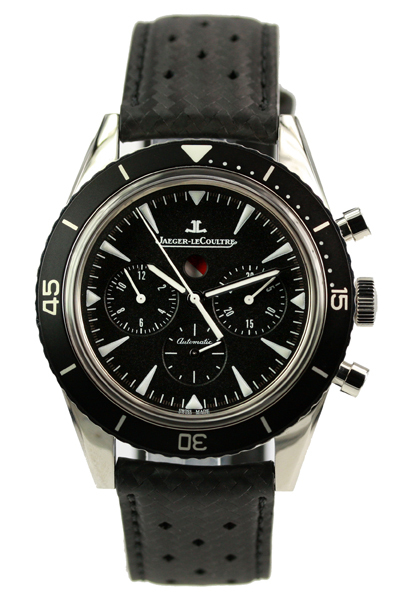 Black alligator leather strap and steel deployant clasp. 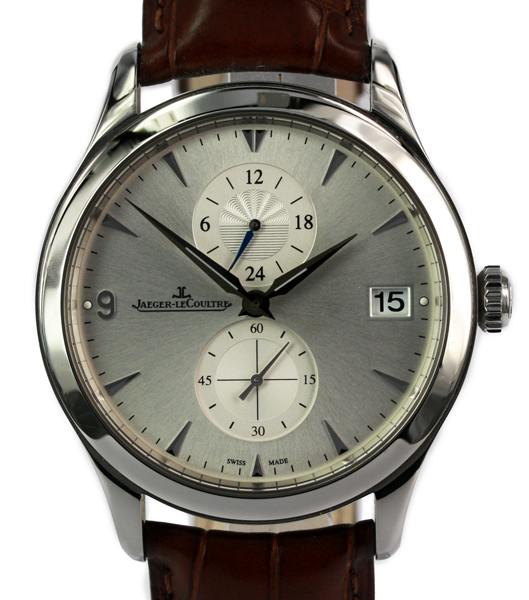 Watch Description: Stainless steel case, silver dial with index hour markers. 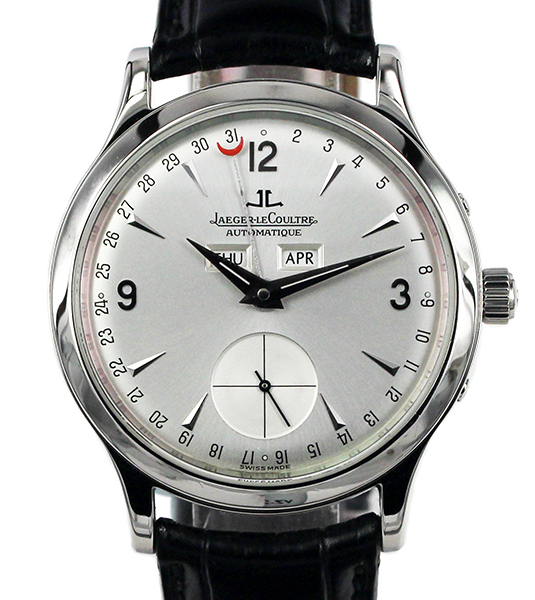 Arabic numeral quarters. 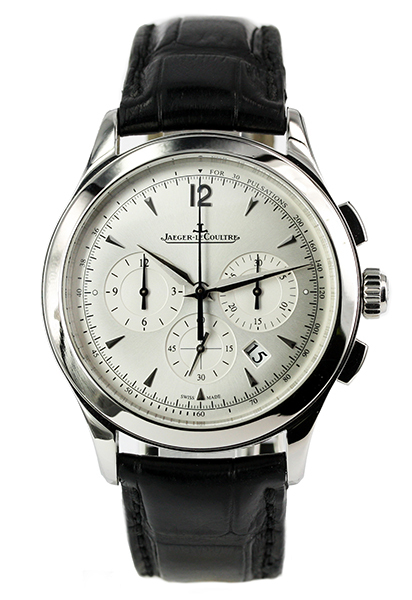 Date pointer hand. 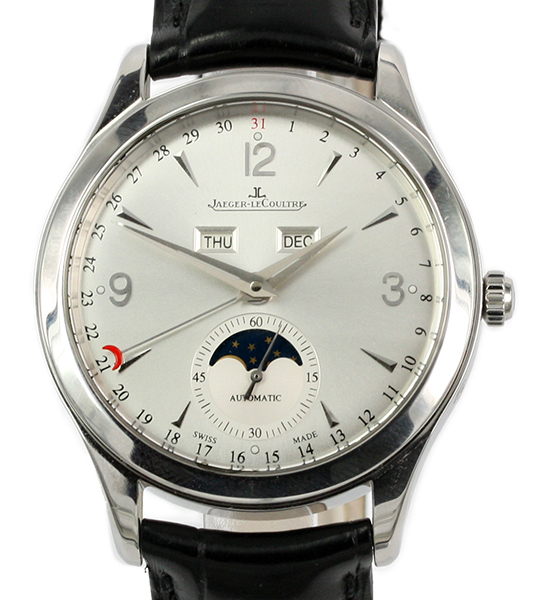 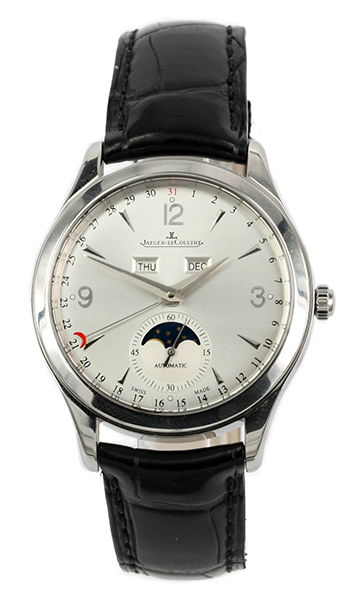 Day and month display with small seconds and moonphase sub-dial at 6 o'clock. 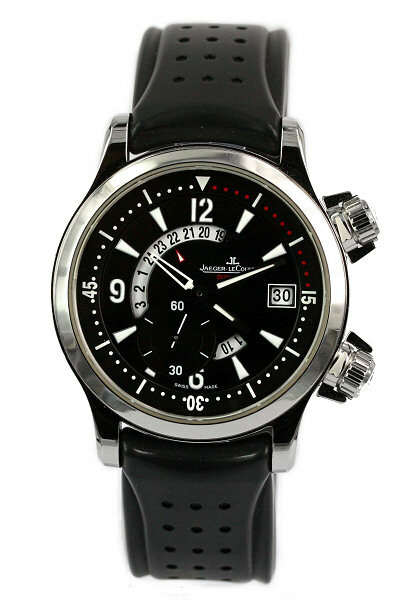 black alligator leather strap and steel deployant clasp. Watch Description: Limited Edition to 500pc. PVD coated titanium case surrounding a black dial on a articulated rubber strap with titanium deploy buckle. 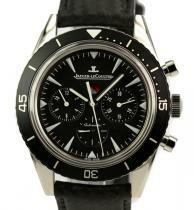 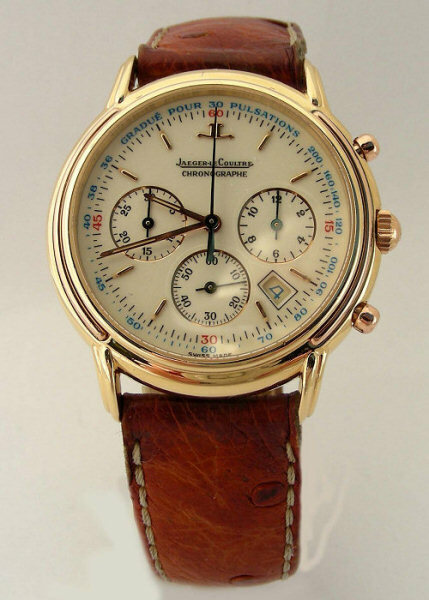 Hours, minutes, small-seconds, date, chronograph, and GMT. 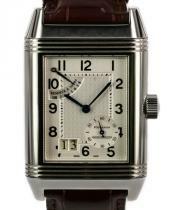 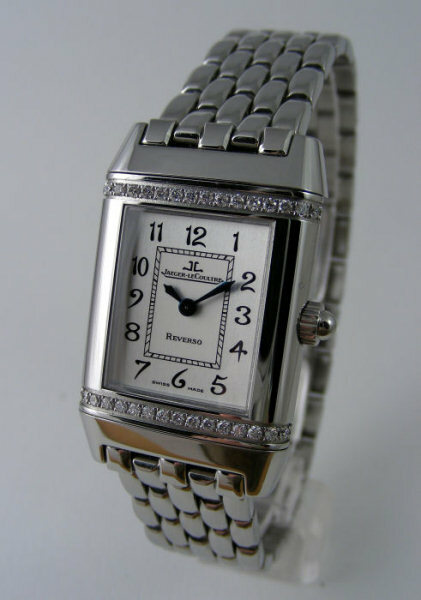 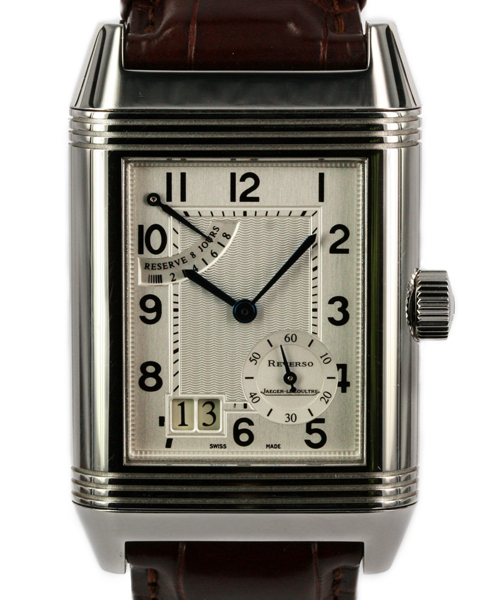 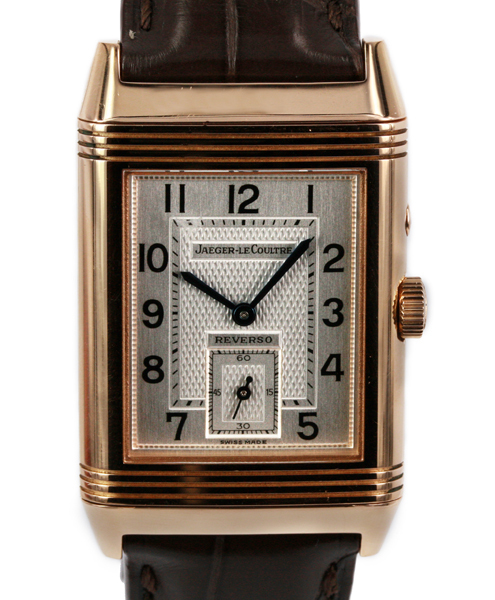 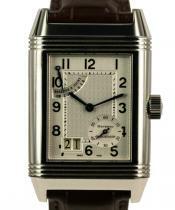 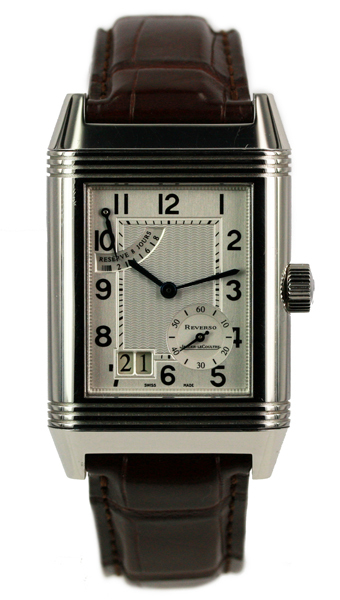 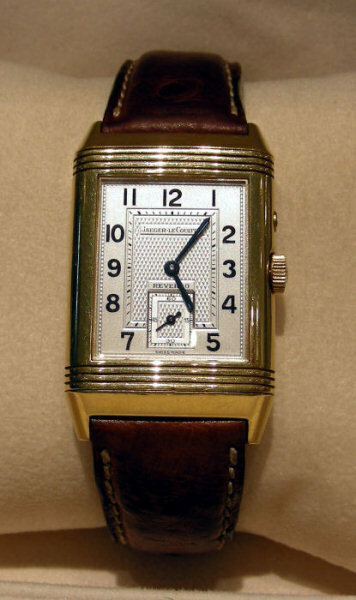 Watch Description: Ladies Reverso mechanical manual wind movement, sapphire crystal, silver dial with black arabic numerals on one side. 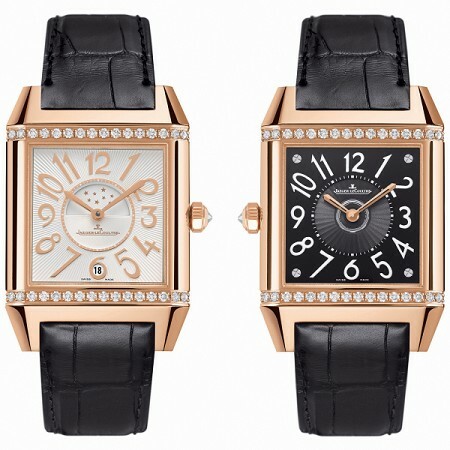 Other (reversible) mother-of-pearl-dial with 32x round brilliant cut diamonds set on the case at 12 and 6 o'clock ends. 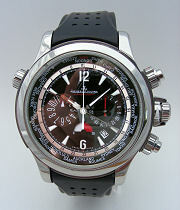 Steel bracelet. 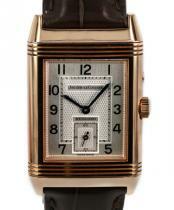 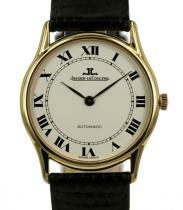 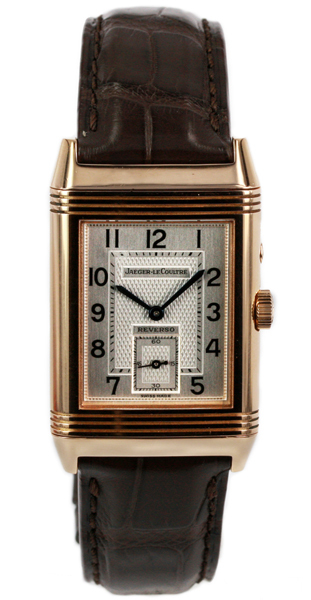 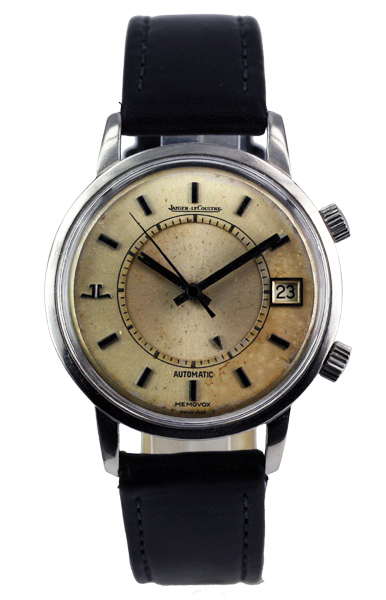 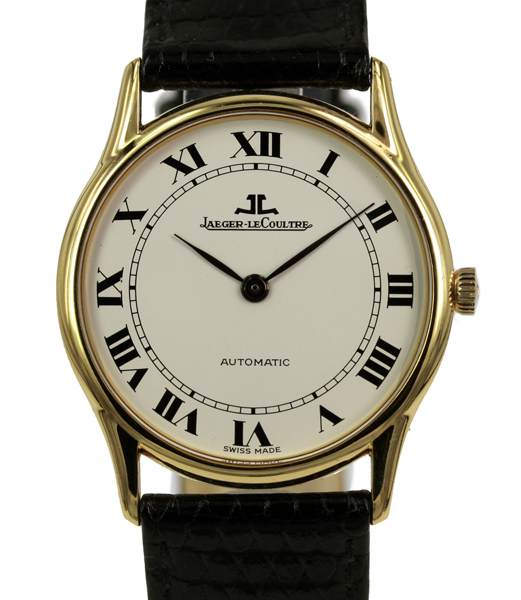 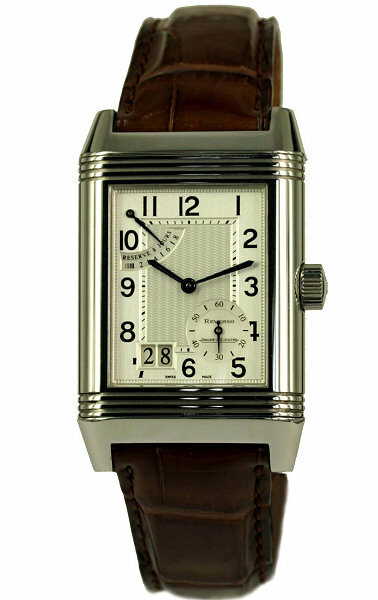 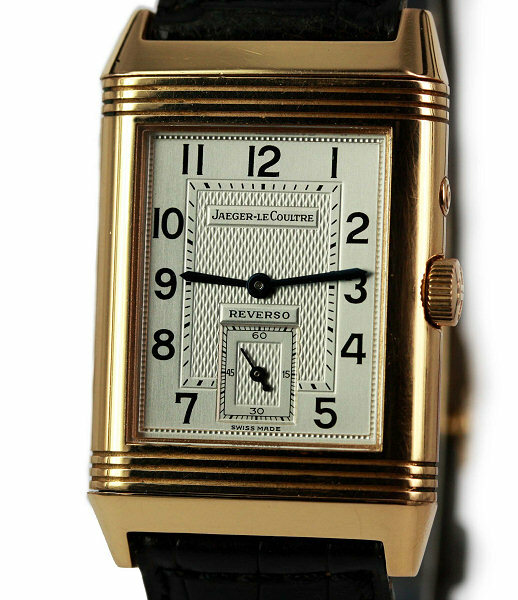 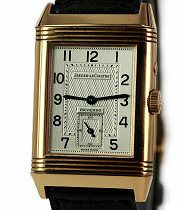 Watch Description: Rectangular reversing case, mechanical manual wind movement. 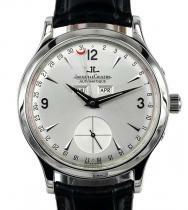 Silver guilloche front dial with sub seconds indicator, and charcoal grey second time zone back dial. 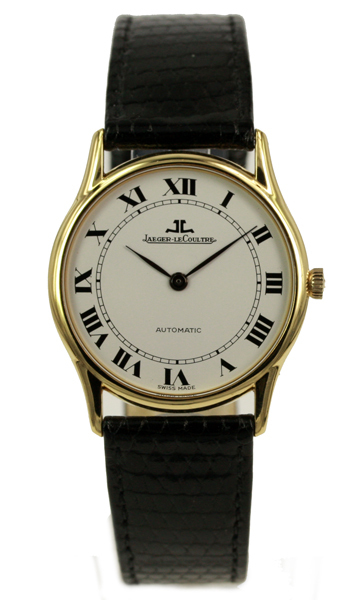 New JLC Brown Alligator strap with 18k pink gold deployant buckle. 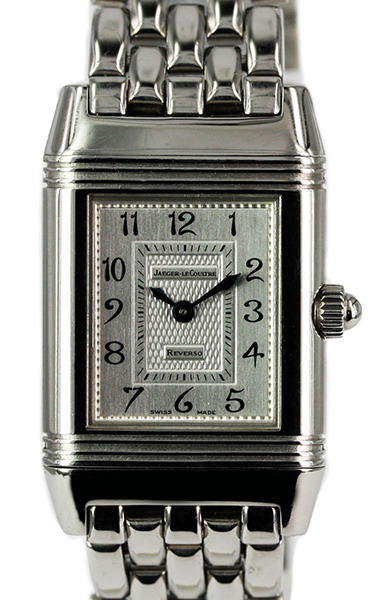 Watch Description: Rectangular reversing case, mechanical manual wind movement. 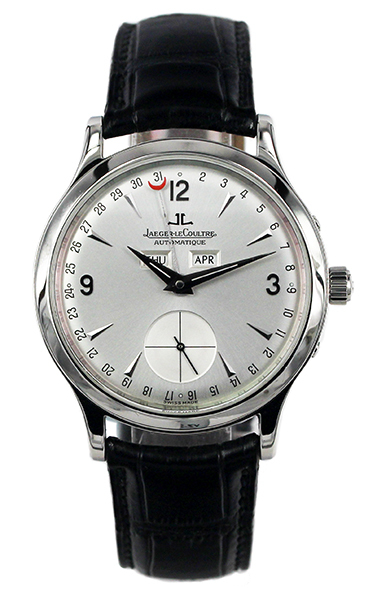 Silver guilloche dial front dial with sub seconds indicator, and charcoal grey second time zone back dial. 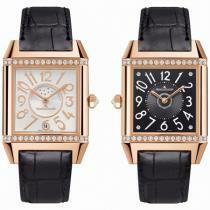 Black exotic reptile strap with 18k pink gold deployant buckle.